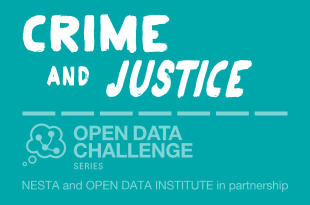 I had a really enjoyable time working as Series Lead on the Crime and Justice series and am really thankful for the opportunity to work with both Nesta and the Open Data Institute. I think we did a good job of attracting a range of entries and the shortlisting, although difficult, resulted in the strongest projects going forward to the final. This team came together just before the Competition Weekend and came up with a really strong idea that could make a really positive difference to how deaf people communicate with the police. They proposed developing a?new app to help the 11 million deaf people in the UK contact emergency services to report a crime by using the visual features on a smartphone. I’m really looking forward to seeing how they’ve progressed with their idea. Since getting his bike stolen John Moss has developed a number of online tools and services to help other victims of bike crime. I really admire his dedication to these projects, which he currently runs in addition to his full-time job. He has a campaign running to encourage police forces record and then publish open data relating to stolen bikes and has used the Open Data Challenge to push this more strongly thanks to the support of the Open Data Institute. Another project that was started as a result of being a victim of crime, David James set up Total Car Check when his parents inadvertently bought a stolen car as an online platform for buyers to check if criminal activity has taken place on a vehicle before purchase. It makes it easier to find stolen vehicles, give buyers clear instructions on how to report them and significantly decreases the cost of vehicle history checks. David has worked with the Open Data Institute and the Open Data User group to?put together benefits cases for both the DVLA bulk data set and stolen vehicle data set. He has a persistence that is really impressive. There is still time to sign up on the Eventbrite page if you want to come along. Previous Previous post: FOI: Why is the answer still no?